A cyclone is a specially designed system used to separate materials using centrifugal forces. The materials fed into a cyclone are typically hard and the environment within a cyclone is inherently highly abrasive. Hence wear inside a cyclone is an operational hazard. 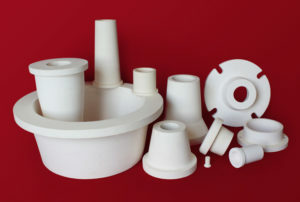 Taylor Ceramic Engineering have the materials and expertise to be able to minimise wear of your cyclone linings and thus reduce downtime and increase efficiency. 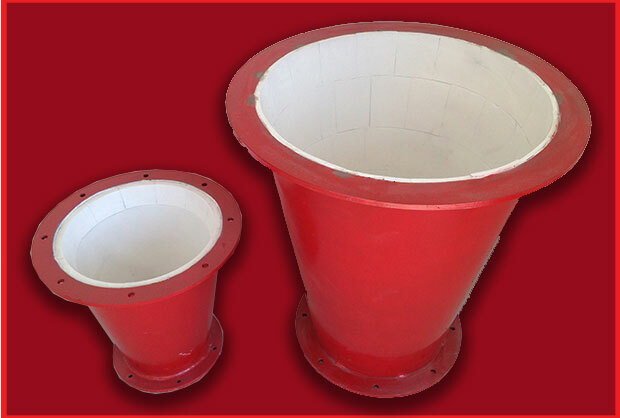 The main body of the cyclone consists of a reducer or a cone shaped liner tapering from a larger diameter to a smaller one down its length. Since the materials separated in a cyclone are highly abrasive, it is important to have a cyclone lining that stands up to rigors of the job. 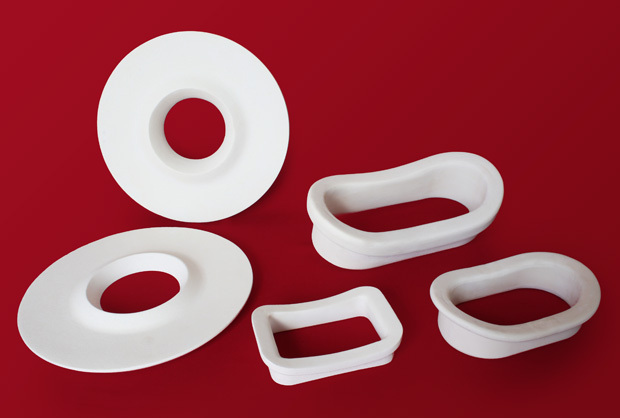 Ultra High Purity Alumina can be used to increase cyclone working life and performance and can be custom shaped to suit all geometries; from the pipe work leading to the inlet, the vortex finder and apex outlet, to the conical heart of the cyclone. Virtually any surface that undergoes wear! 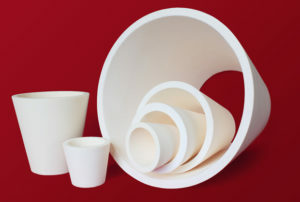 A range of wear resistant lining techniques can be used; from monolithic inserts to tiled sections. We can retrofit, replicate, re-engineer or refurbish – and we like nothing better than a challenge. 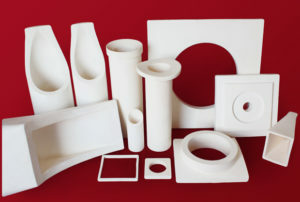 TCE is uniquely positioned to be able to manufacture small and large monolithic shapes in short timeframes. These sections can be custom made to suit your precise requirements. Monolithic sections have the advantage that they are much faster to install, thus reducing downtime. 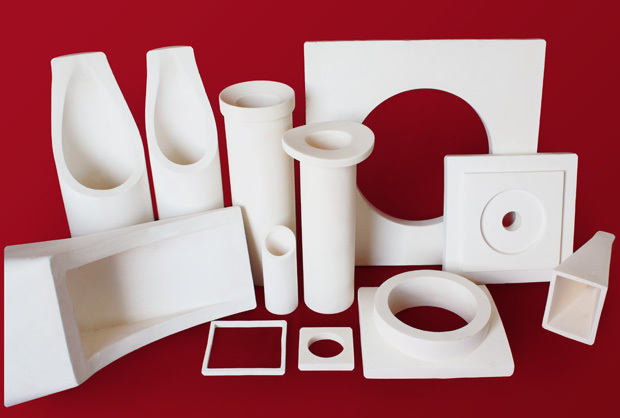 Because most surfaces associated with a cyclone assembly are curved, Taylor Ceramic Engineering is able to engineer tiles that conform to the exact shape required. Flat tiles on curved surfaces often leave a series of flats radially around the internal surface of the cyclone. This not only interrupts material flow but increases wear on the tiled surfaces and thus reduces equipment life. However, using engineered curved tiles that conform to the required shape reduces the discontinuities and increases material flows and hence the equipment efficiency. Taylor Ceramic Engineering can also RETROFIT or REFURBISH current cyclones liners, reclaiming the housings several times. A cyclone is virtually a tapered a cylinder with one inlet and two outlets and is used to separate solids from liquids or for classification via a centrifugal motion. They are commonly found in minerals processing operations. Cyclones can also be referred to as cones, reducers and spigots. The feed material is typically pumped into the larger end of the cyclone at a tangent and according to centrifugal forces, the higher specific gravity fractions are forced away from the central core to the cyclone walls and move downwards to the apex and are removed as rejects or middlings. The lighter particles take the opposite journey and move into the middle of the cyclone vortex and are removed through the cyclone overflow outlet via the vortex finder.